Extraordinary harpist Mike Stevens teaches all the techniques, tips and inside information you need to know to play bluegrass harmonica. He covers: holding the harp, lip pursing, tongue blocking, draw bending, vibrato, attacking the notes, wind chops, and a lot more. 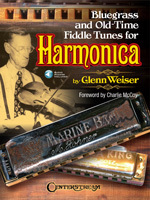 The CD features practice tunes for beginning, intermediate and advanced players, including two versions of some of the intermediate and advanced tunes: one at standard tempo, and one slowed down for easier learning. 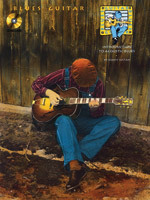 This book/CD pack has been designed to educate bass enthusiasts about the development of different styles and traditions throughout the history of the blues, from the 1920s to the early 1970s. Players will learn blues scales, rhythm variations, turnarounds, endings and grooves, and styles such as Chicago blues, jazz, Texas blues, rockabilly, R&B and more. The CD includes 36 helpful example tracks. 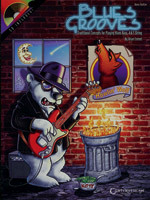 Through instructional text and actual songs, the author covers blues in five different keys and positions. 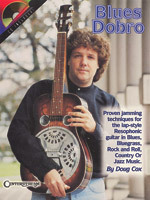 Covers fingerstyle blues, specific techniques, open tuning, and bottleneck guitar. The CD includes all songs and examples, most played at slow speed and at regular tempo.